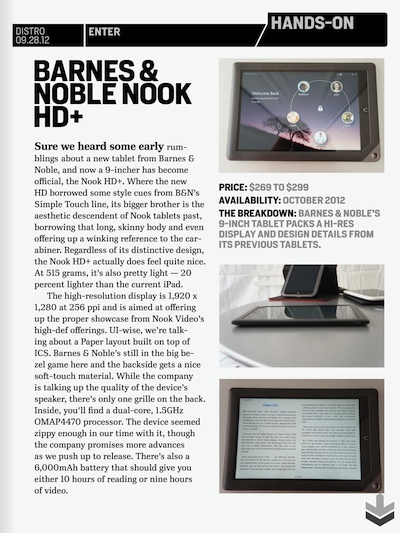 There are page turner Magazines on the iPad that are basically PDF versions of the print version. 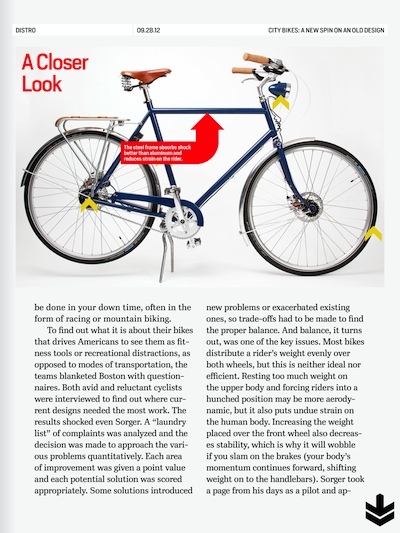 Becoming more popular are the magazines that have hot spot areas, video, scrollable articles and inter magazine linking. While these interactive magazines are being produced by large magazine publishers once a month, Engadget is creating their full featured content “Dristo” weekly. 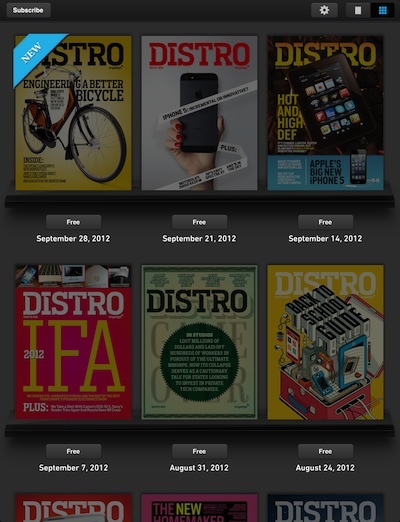 Grab the app and you will get an overview page of all of the ‘magazines’ published. Tap the ones you want to download and read within the same app. These are not little blog posts put together in an app. 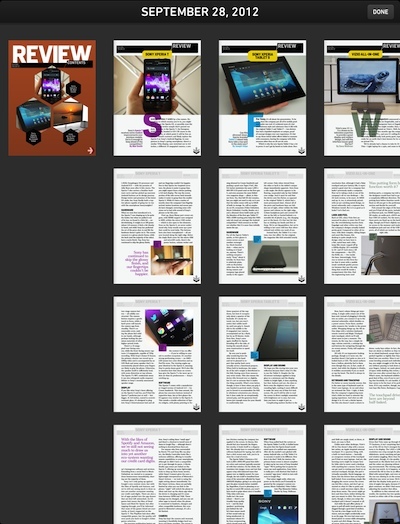 Distro from Engadget are full content articles. The latest technology product reviews both at the regular technology walk through as well user stories. Tap near the top/bottom of a page to gain access to page thumbnail views at the bottom. Also, buttons across the top for Settings, Contents Overview, Sharing and return to the Library of all of the Distro distributed magazines. Like the other enhanced magazines, Distro doesn’t require you swipe through pages and pages of articles your not interested in. Only the front page of each article is at the main level. 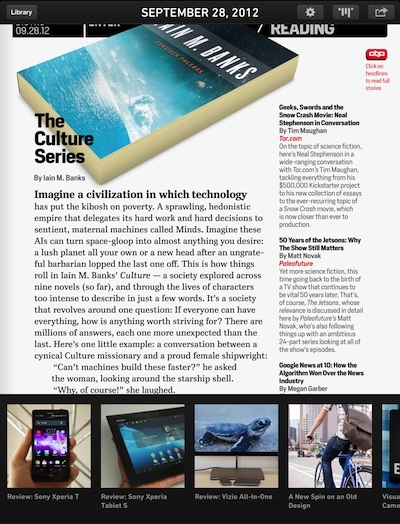 When you find something you want to read more of, swipe up/down the read more. There is a nice overview shown below to jump to a page within an article quickly. Content stretches across pages that is viewed via a swipe and arrows as well boxes of text on a single page. Hot spots marked with ‘+’ symbols expand descriptions for more information to avoid clutter on pages.